Jared A. Greathouse specializes in all aspects of corporate law including structure, governance, financing, board management, benefits and employment, and the identification and utilization of specialty tax incentives. 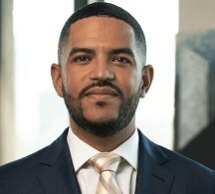 He also frequently works with non-profit entities on structure and governance, estate planning and contract disputes, and finds both sides of business law to be equally rewarding. He brings to his clients at Blazier, Christenson, Browder & Virr, P.C. vast experience in attracting investors, working with regulators, and assessing and managing corporate risk. An attorney since 2011, Mr. Greathouse always felt drawn to corporate law and prides himself on his ability to learn a client’s industry and help them identify and manage potential problems. While getting his undergraduate degree in economics at the University of Texas at Austin, he became fascinated with how individual or corporate actions affect society as a whole, and while pursuing his law degree at the University of Miami, Coral Gables, he gained a thorough understanding of how those same actions translate into legislation to become society’s governing principals. This led him to focus his legal career on helping his client’s businesses succeed by responsibly realizing their goals. While he wasn’t born in Austin, as the saying goes, he got here as fast as he could and now he, his wife and two sons are proud to call the ATX area home. An involved community member, Mr. Greathouse is Vice President and President-elect of the board of directors for AGE of Central Texas, a non-profit serving senior adults and caregivers, and is a former member on the board of directors for Seedling, an organization dedicated to mentoring area children challenged by parental incarceration. When not volunteering or helping his clients build and protect their businesses and estates, Mr. Greathouse enjoys playing golf, hiking and otherwise spending time outdoors with his family and their dog, Sarge. He also likes reading, studying wine, and traveling whenever possible.